The Visalia branch of the Automobile Club of Southern California will celebrate its 100th birthday Saturday, Oct. 15 with a member appreciation celebration at the branch, 4228 S. Mooney Blvd., from 10 a.m. to 2 p.m. The branch is in the Packwood Creek Shopping Center next to Best Buy. The Visalia branch now serves more than 46,000 members in the area. It offers free DMV vehicle-related services, a full-service travel agency, maps and travel publications, insurance services, discount attraction and movie tickets, and many other member benefits. Centennial celebration highlights will include an antique service vehicle display, historical memorabilia displays, refreshments and member appreciation items. The Auto Club was founded in December 1900 by 10 horseless carriage enthusiasts and established its headquarters in Los Angeles. 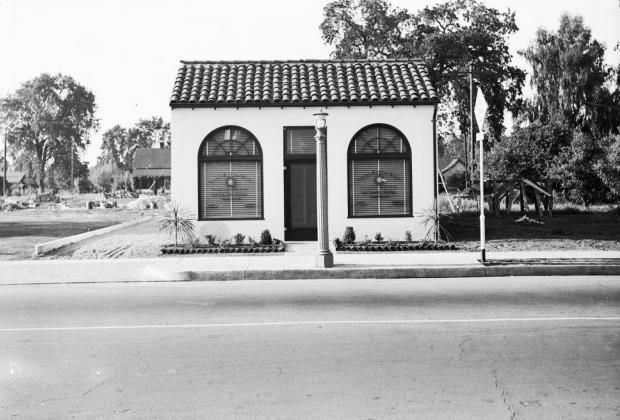 It opened the Visalia branch in October 1917 – the seventh branch after San Diego, Long Beach, Pasadena, Santa Barbara, Bakersfield and El Centro branches were established. The Visalia branch’s first location was in the newly built Municipal Auditorium on Acequia Avenue (since demolished) and it remained there until 1918, when it moved to 108 E. Main St. Other branch locations were at 217 W. Main St. from 1923 to 1936, 607 W. Main St. from 1936 to 1941, 520 W. Mineral King Ave. from 1941 to 1961 and 300 S. Mooney Blvd. from 1961 to 2008. One of the main reasons Visalia was established as one of the oldest Auto Club branches was the desire to provide paved roads for widespread access to the natural wonders of Sequoia, Yosemite and General Grant (now Kings Canyon) national parks, according to Auto Club historian Matthew Roth. In 1916, Tulare County had just 281 miles of improved roads, and in 1917 the Auto Club supported a $2.2 million bond measure approved by county voters to add 300 more miles of roads, opening the city to further economic development as tourist access to national parks was expanded. The Auto Club posted Southern California’s first road signs starting in 1906, including many street signs in Visalia. It initiated emergency road service in 1925 and started the region’s first highway patrol service in 1924 (unlike today’s CHP, this was solely dedicated to helping stranded motorists and even delivered milk and medical supplies). The Automobile Club of Southern California initiated and completed the signposting of the National Old Trails route from Kansas City to Los Angeles, used by thousands of tourists and immigrants to California. The Southern California club also was one of the first promoters and route engineers for building the International Pacific Highway from Fairbanks, Alaska to Mexico City. For more information on Auto Club membership and services, visit the Visalia branch or AAA.com. The branch phone number is (559) 732-8045. Branch hours are Monday through Friday, 9 a.m. to 5 p.m., and Saturdays from 10 a.m. to 2 p.m.